Several decades ago there was a tavern at the roadside between Ivančna Gorica and Žužemberk, a very popular stop for coachmen. Today it is a hotel and restaurant offering excellent wines and delicious food. 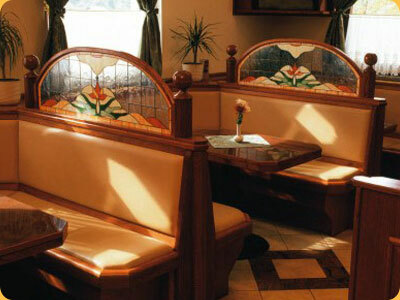 The frescoes originally painted in 1926 in the old tavern were copied on the walls in the new restaurant. so it is written in the Bible. 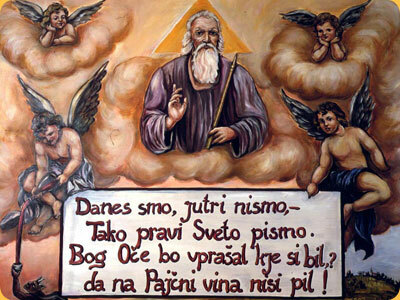 if you haven't had a glass of wine at Pajčna. When you stay with us in the Krka Valley, you will be surrounded by the rolling hills of the Dolenjsko region - a place of enchanting beauty. 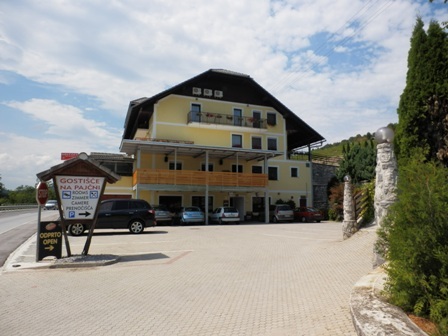 Pajčna is also excellently located as a starting point for one day trips by car or motorbike around Slovenia or you can stay the night before continuing your journey to neighbouring countries. Bikers welcome: we offer garage for motorbikes (with alarm), laundry and ironing. 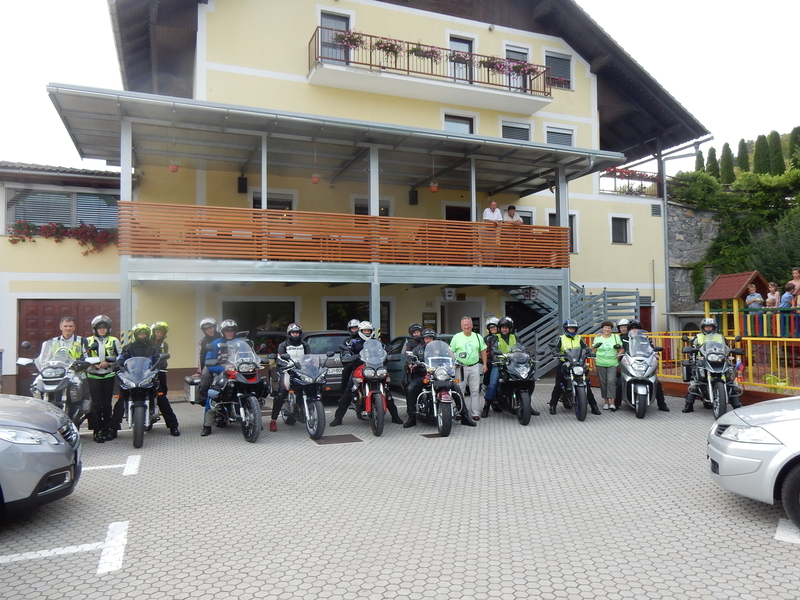 Bikers are enthusiastic about travelling around Slovenia observing its natural beauty and enjoying its numerous curvey roads. You can experience the very best fly fishing for trout in one of Europe's most beautiful pristine and crystal clear rivers, the Krka. 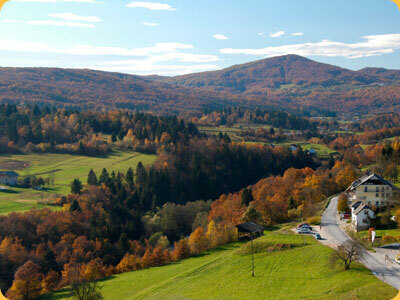 If you prefer cycling or walking, you can visit many interesting places near Pajčna. 1. RELAXING WEEKEND BREAK AT PAJČNA: welcome drink, 2 nights wtih breakfast included, 1 daily entry ticket to Krka Thermal Spa (swimming pools and saunas). Price: only 65,00 € per person. 2. GOURMET WEEKEND AT PAJČNA: welcome drink, 2 nights with breakfast included, a gourmet dinner, a daily entry ticket to Krka Thermal Spa (swimming pools and saunas). Price: only 85,00 € per person. 3. WEEKEND OF ADRENALIN AT PAJČNA: welcome drink, 2 nights with breakfast included, kayaking on the river Krka, a daily entry ticket to Krka Thermal Spa (swimming pools). Price: only 85,00 € per person. 4. FANTASTIC 4 DAY BREAK IN THE KRKA VALLEY: welcome drink, 4 nights with breakfast included, a gourmet dinner, a guided tour to the Žužemberk castle, a guided tour to the spring of the Krka river, a guided tour to museum of Josip Jurčič, free bicycle rental with a free cycling routes map, a daily entry ticket to Krka Thermal Spa (swimming pools and saunas). Price: only 149,00 € per person. 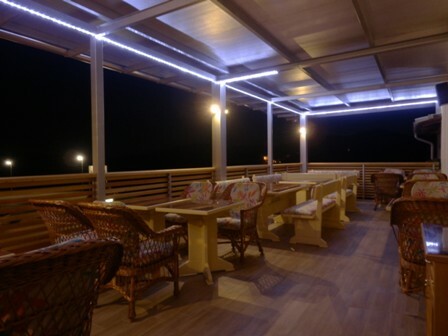 or make an online reservation here.